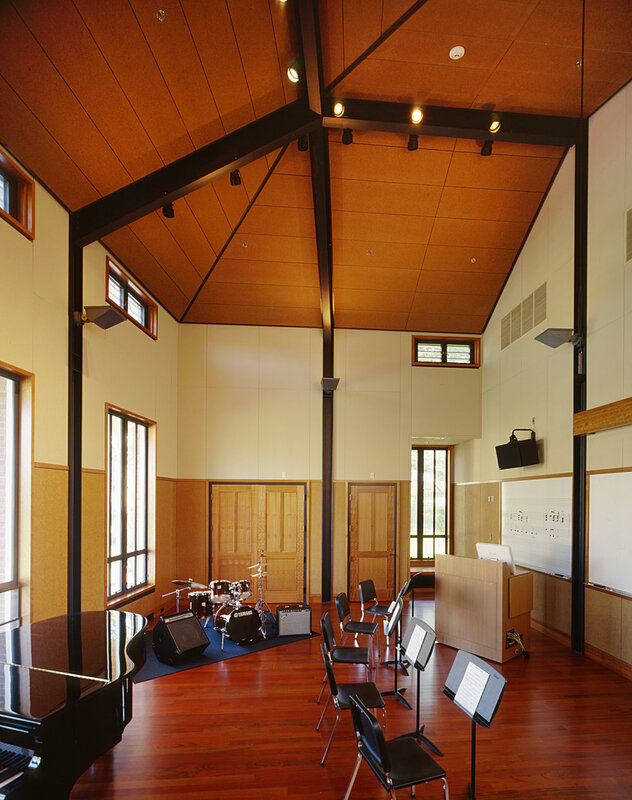 The Prenatt Music Center is the first in a series of new facilities for the arts at this private boys’ school. Its siting organizes two disparate parts of the campus. On one side, its wings reach out to the school’s athletic fields. On the other, it defines the edges of the main campus quadrangle and a future Arts Quad. At the building’s center a glass pavilion organizes the interior spaces and can serve as a venue for school events.